WELCOME to MAWSON PRIMARY SCHOOL! It is with great pleasure that I welcome you to Mawson Primary School. Our school is an exemplary bilingual school that celebrates diversity and develops international mindedness and cultural awareness among all members of the community. Mawson is a truly multicultural school, with students and families from many cultures and backgrounds. Our school is the only primary school in Canberra that offers a comprehensive Mandarin /English immersion program. Our commitment at Mawson Primary School is to create and maintain a safe, happy and student centred environment in which students are inspired to become lifelong learners. I am proud to be the instructional leader of our unique community of language learners. At Mawson we have a team of highly enthusiastic and knowledgeable teachers that use pedagogy based on evidence based best practice. Our teachers work in close partnership with students and parents to ensure that everyone has opportunities for success. We aim to support all students to reach their highest level of personal achievement through high quality teaching and learning, self-discipline and responsibility. I am passionate about every student having the right to a quality education and our team constantly work towards ensuring this is the reality. At Mawson Primary School we have high expectations for every child's learning and place high importance on their social development, while being immersed in the Mandarin language and culture. I encourage you to contact the office and arrange a time to meet me or the Deputy Principal, Laurel Rodrigues, so we can show you around our wonderful school. 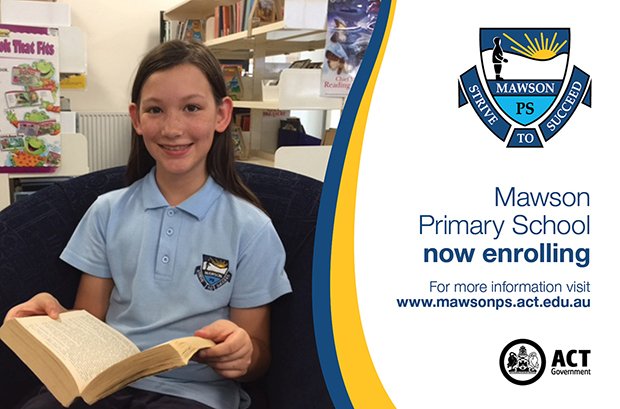 Mawson Primary School is now enrolling.